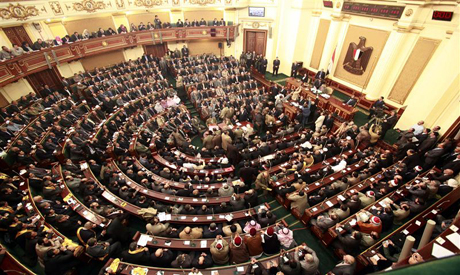 Egypt's parliament will announce Sunday a date to recall Prime Minister Kamal El-Ganzouri as well as 10 other ministers upon the request of several MPs who want to ask them about the recovery of lands that were illegally taken by figures of the Hosni Mubarak regime. MPs are accusing the ministers of petroleum, health and interior, among others, of failing to recover state lands sold in non-transparent deals to stalwarts of the old regime. Deputy Mohamed Anwar Al-Sadat wants to ask Fayza Abul-Naga, minister of international cooperation, in office since 2004, about wasting aid offered to Egypt by allegedly distributing it to fake institutions run by members of the old regime.